Reliable Sources is continuing to focus its critical lens on the media coverage of the Boston bombings. Tune in Sunday for that! Until then, here are some of the other stories that caught our attention this week. Will Obama go for the punchline? 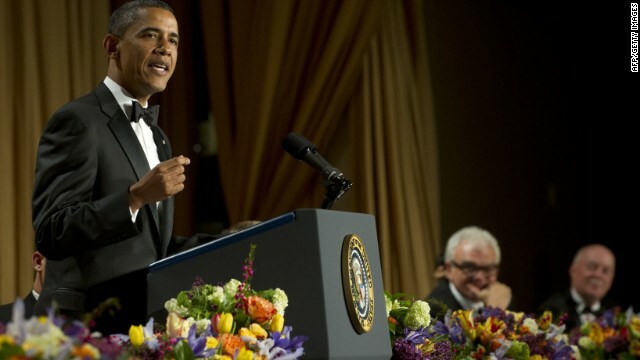 Politicians and Hollywood celebrities will be bumping elbows Saturday night at the annual White House Correspondent’s Dinner. The event is usually an opportunity for the president to take a lighter tone, poking fun at his political opponents and folks in the media. But with somber news stories such as the Boston terrorist attack and the fertilizer plant explosion in Texas still dominating the headlines, some are wondering whether the President should skip the comedy routine this year. Striking the proper balance between humor and solemnity could prove a difficult balancing act, as previous presidents have learned. How news becomes #news: A growing number of people are turning to social media sites like Twitter and Facebook for information in lieu of traditional news sources, perhaps for good reason. When bombs went off near the Boston Marathon finish line last week, the news was on Twitter almost instantly. That case emphasized what many in the news business have already come to accept: that social media sites can be invaluable tools in the collection and dissemination of news. Traditional outlets are taking note, developing strategies to harness the power of social media. In the wake of the Boston bombings, Andrew Springer, senior editor for social media at ABC News and Dean Praetorius, senior editor at The Huffington Post took questions from the blog AllFacebook on how their organizations cultivate a social media presence and use that presence to cover breaking news. For the inside-the-beltway reader: The release of a new book by New York Times writer Mark Leibovich, which chronicles life in insiders’ DC, is over two months away, but that hasn’t stopped Mike Allen and Jim VandeHei of Politico from speculating about who “should worry most about his book.” The pair (the former of whom was profiled by Leibovich in 2010) started the speculation in an article on Thursday, which has received its own share of criticism from those who say the article is, in itself, a classic example of the Washington self-absorption the book aims to expose.